The list of miscellaneous itemized deductions is an odd mixture of various deductions that didn’t fit anywhere else in the tax code. It includes items such as losses from Ponzi-type investment schemes, tax preparation fees, and certain safety deposit box fees. There does not seem to be much rhyme or reason to why these deductions were all lumped together. Perhaps because these deductions are so obscure, the new Tax Cuts and Jobs Act (TCJA) has suspended miscellaneous itemized deductions for all tax years beginning before January 1, 2026. Taxpayers who previously took advantage of these deductions will now be out of luck. Miscellaneous itemized deductions were only used by a small subset of taxpayers. First, these deductions could only be used if you itemized your deductions. So taxpayers who use the standard deduction would not benefit from the miscellaneous itemized deductions. Second, some of the miscellaneous itemized deductions were subject to a 2% limit. Taxpayers could only deduct the portion of these miscellaneous itemized deductions that exceeded 2% of their adjusted gross income. Another category of miscellaneous itemized deductions was not subject to the 2% limit. These deductions could be taken in full. If it sounds confusing, that’s because it was. The new law completely eliminates all of these various deductions. The biggest category of miscellaneous itemized deduction is for unreimbursed employee expenses. Employees who spend their own money on items they need for work—such as uniforms, union dues, and work-related education—may sorely miss being able to deduct these expenses. While self-employed taxpayers and independent contractors can deduct business expenses on Schedule C, employees don’t have this opportunity. The unreimbursed employee expense deduction was the only way for them to deduct these job-related costs. The loss of this deduction may be offset by other provisions of the TCJA. The lower tax rates, expanded child tax credit, and larger standard deduction could balance out the loss of miscellaneous itemized deductions for some taxpayers. However, this loss could change how employees view job-related expenses. They may be less likely to invest in these items or ask their employers to cover these costs. 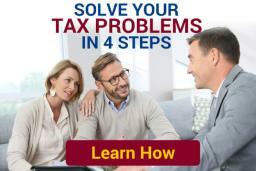 Get free tax advice from a Michigan tax lawyer by calling Ayar Law at 248-262-3400 today.